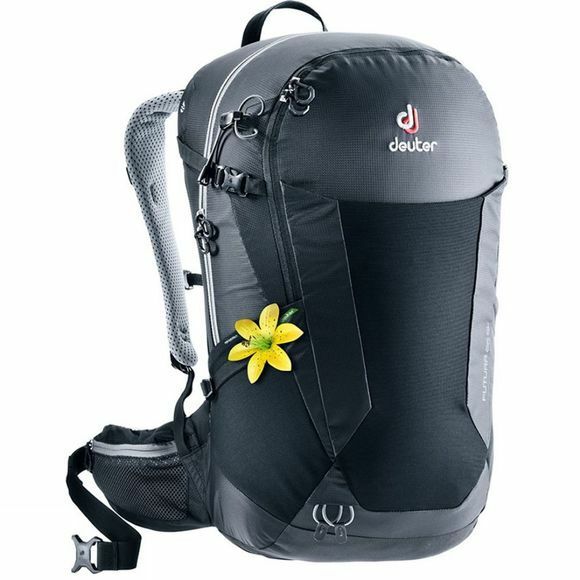 The Womens Futura 26SL Rucksack from Deuter is an athletic hiking backpack or a functional top-loader for easy hikes, city trips, or via ferratas: the Futura-Series offers sophisticated solutions for all kinds of demands. They are all united through a true revolution in comfort with the mesh back system: The new fit of the Aircomfort Sensic combines lightness, flexibility, and freedom of movement with maximum ventilation. SL (Slim Line): Designed specifically for women and shorter back lengths.